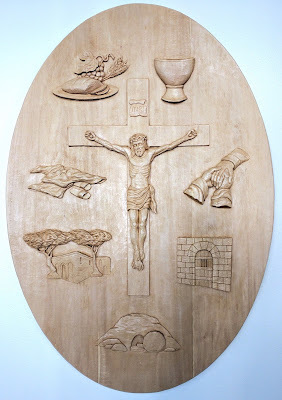 Corporal Works of Mercy relief carved from basswood. 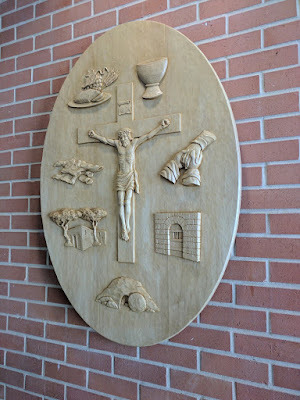 The carving is 42 inches tall. 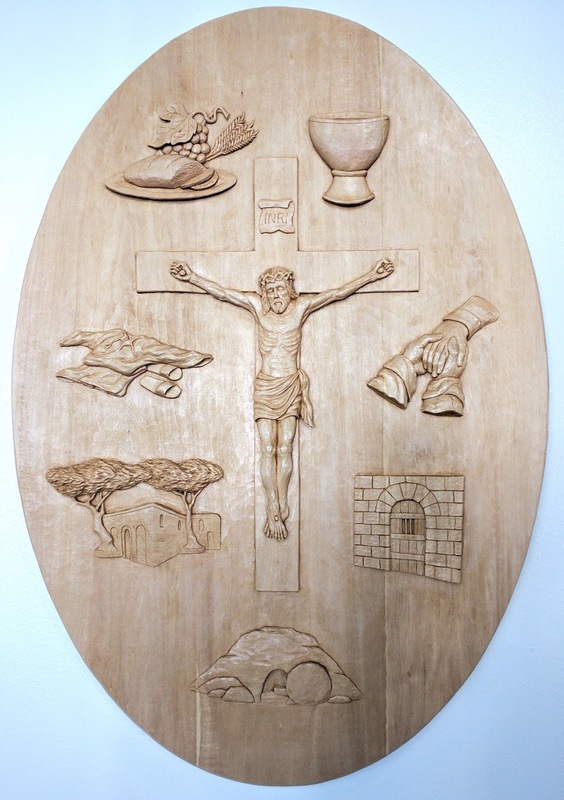 This piece was made for a school to act as both a work of art and as a teaching aid. For more details regarding the design and what the images represent, please see this document. 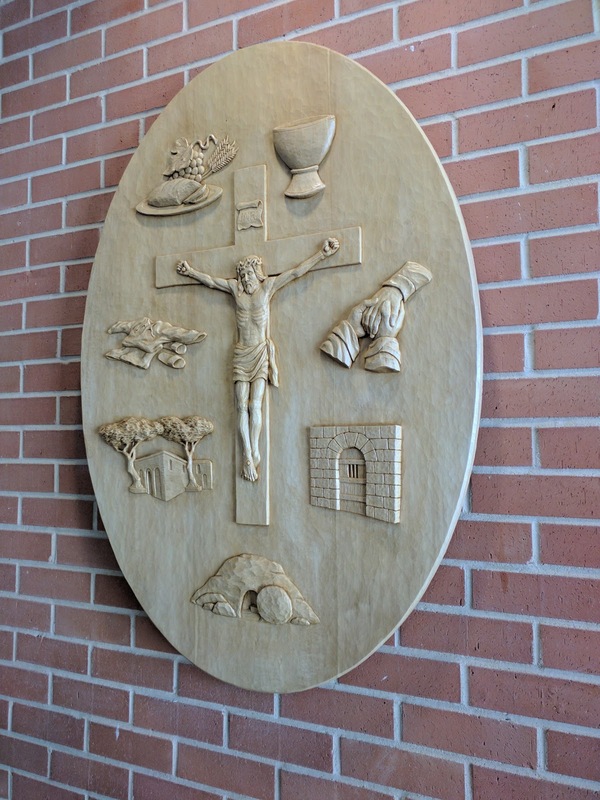 Here is a photo of the carving in its original hanging place over a bench that helps to show the scale of the piece.